Is there a better alternative to BitNami DokuWiki Stack? Is BitNami DokuWiki Stack really the best app in Servers category? Will BitNami DokuWiki Stack work good on macOS 10.13.4? BitNami DokuWiki Stack makes it easy to deploy DokuWiki, which is a standards compliant, simple to use wiki mainly aimed at creating documentation of any kind. It is targeted at developer teams, workgroups, and small companies. It has a simple but powerful syntax which makes sure the datafiles remain readable outside the wiki and eases the creation of structured texts. All data is stored in plain text files; no database is required. 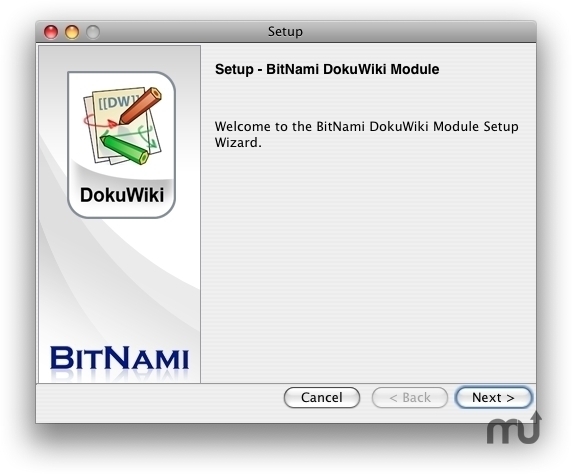 The BitNami DokuWiki Stack native installers were packaged using BitRock's cross platform installer tool. BitNami DokuWiki Stack needs a review. Be the first to review this app and get the discussion started! BitNami DokuWiki Stack needs a rating. Be the first to rate this app and get the discussion started!